Mallorca Bread (pan de mallorca) | I can get a little fixated on an idea. I will think about it over and over again until I can’t take it anymore. This week I got fixated on mallorca, a soft eggy bread from Puerto Rico. At 5:30 am Friday morning my eyes were wide open, and my head was filled with thoughts of soft sweet eggy bread. By 6:00 am before the sun had risen, I was in the car on my way to the store for yeast and eggs. If you’ve had mallorca bread (pan de mallorca) before you may understand my sudden and overwhelming obsession. This bread is sweet, soft and supple. Not to mention all the memories I have tied in with this bread. We lived in Puerto Rico when I was in high school and on many Saturday mornings my mother would take my sister and me to La Bombonera for breakfast. 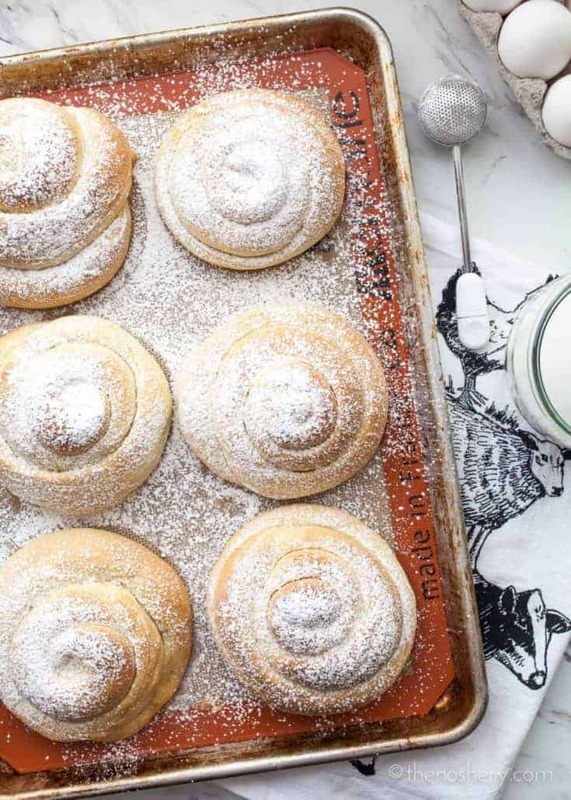 La Bombonera is famous for their delicious plump, buttery rolls of mallorca bread, dusted with powdered sugar. The rolls sit in the window beckoning you to come in. Pan de Mallorca (mallorca bread) originates from Ensaïmades bread from the Spanish island of Majorca, which is why we call it mallorca bread. But like much of Puerto Rican cuisine we adopted it and made it part of our culture. Mallorca bread can be found in most local Puerto Rican reposteria (bakery) along with many Puerto rican treats. Every time I go home I do my best to get my hands on a warm buttery mallorca. But, for the times I can’t make it to PR, I can make them at home and so can you. It is important to have unbleached bread flour. I have used bleached AP flour and unbleached AP flour, but unbleached bread flour works best and makes the softest bread. Also, make sure you give yourself time to make this bread, it is almost an all-day process. But worth every minute. You may be wondering, Is there really a difference between AP flour and bread flour? The answer is yes! It’s all about the gluten. Bread flour has more gluten than AP flour which is why it’s ideal when making bread. Gluten is what gives the bread an airy light texture. If you’re not a regular bread maker you probably don’t always have bread flour on hand or want to buy a 5 lb bag to use once in a blue moon. This is when the magic of Amazon steps in and provides you with gluten flour or gluten additive. Keep this on hand and add a tablespoon of gluten flour to a cup of AP flour. TA-DA! You now have bread flour. Now if don’t have the time to order gluten additive to make bread flour you can use AP flour. It will not ruin your rolls. They may not rise as high or be as fluffy but they will still be delicious. Pan de mallorca is the ultimate sweet bread recipe. It’s perfect to have sliced and buttered with a cup of coffee in the morning. By the following day, the powder sugar melts into the bread, and it is perfect for making a savory grilled sandwich with ham and cheese. I like to slice the roll and toast it in a skillet with coconut butter it cut side down. Then I make the ham and cheese sandwich and toast both sides in a skillet. It is divine! I kid you not it almost taste like french toast. Do not use dark pans for rolls as it will over darken the bottoms. If your dough fights you when rolling into coils give it a few minutes to rest to keep from overworking the dough. Use day old rolls for ham and cheese grilled sandwiches. Although bread flour is best you can use AP flour if that is all you have on hand. Now if you will excuse me, I have a soft roll and a cup of coffee to tend to. 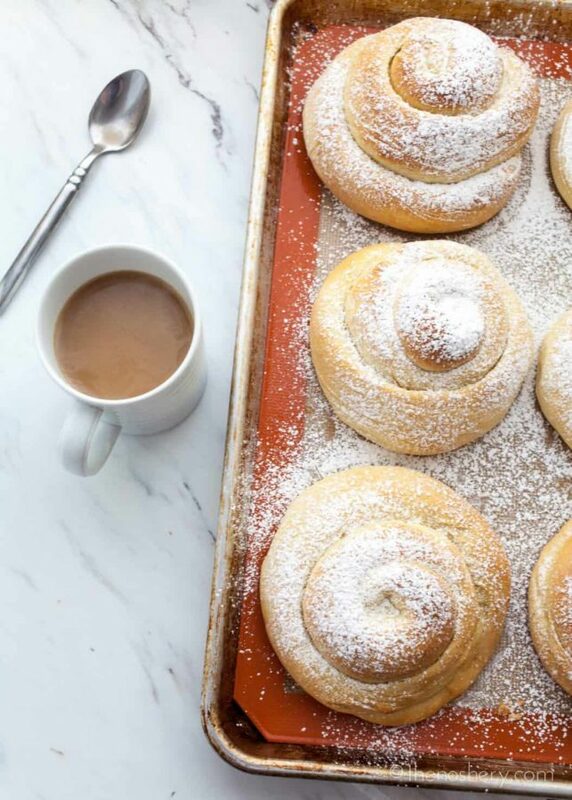 If you are looking for more sweet dough treats try this Spanish hot chocolate with coconut churros, pan de queso con guava (cheese and guava bread) or some classic quesitos. If you need more Puerto Rican recipes check out my entire Puerto Rican recipe collection. 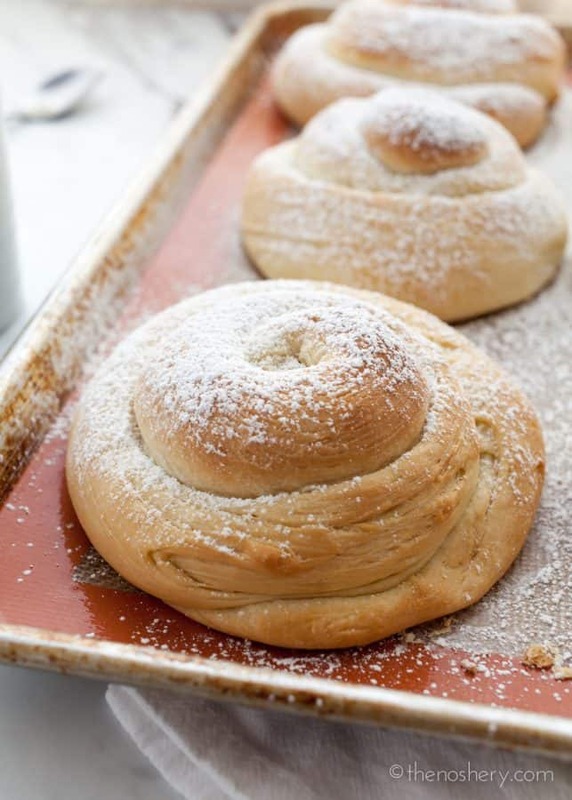 Mallorca bread is Puerto Rican sweet rolls. 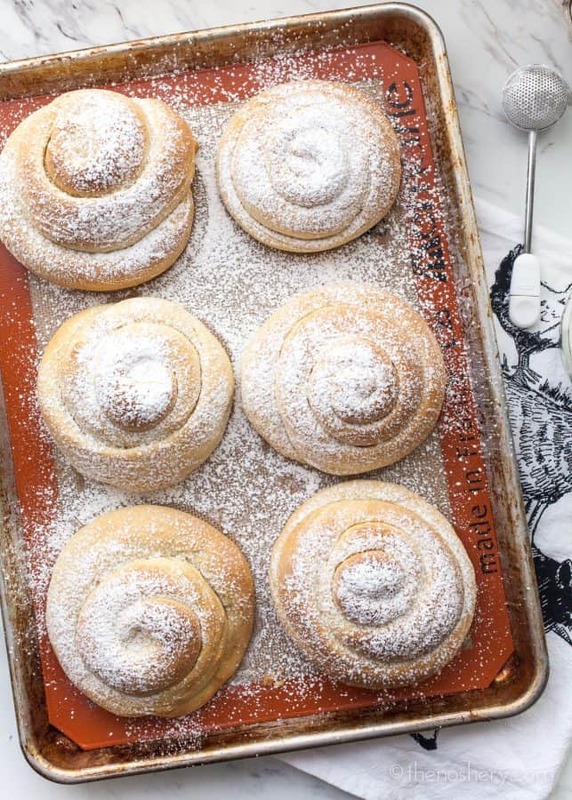 They are plump, fluffy, buttery rolls dusted with powdered sugar. The perfect compliment to a cup of coffee. In the bowl of a stand mixer combine, eggs, sugar, and melted butter, whisk until well combined. In another large bowl pour in milk and water, sprinkle in yeast and let sit for a minute. Add yeast mixture to egg mixture and whisk until well combined. In a large bowl whisk together salt and flour. 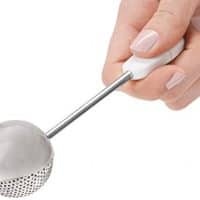 Add flour mixture to the egg mixture one cup at a time, using a dough hook attachment. Mix until dough just comes together. Turn out onto a floured work surface and knead until tacky. Transfer to a bowl and cover with a kitchen cloth and let rise on the counter for 2 hours or until it doubles in size. The dough can also be refrigerated and rise overnight. 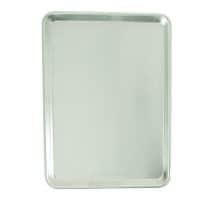 Line two light aluminum sheet pans with parchment paper. (Do not use dark sheet pans because they will over brown the bottom of the rolls.) Generously flour a clean work surface, turn dough out on a work surface, sprinkle with flour. Tear the dough into 12 even pieces. Roll the dough pieces into 1/2-inch ropes. Shape the ropes into coiled buns, tucking the end under the bun. Place 6 rolls per sheet pan, loosely cover with a kitchen towel or plastic wrap and let rise another 45 minutes. Using a pastry brush gently brush rolls with melted butter. Bake for 20-25 minutes, until they are just beginning to brown. 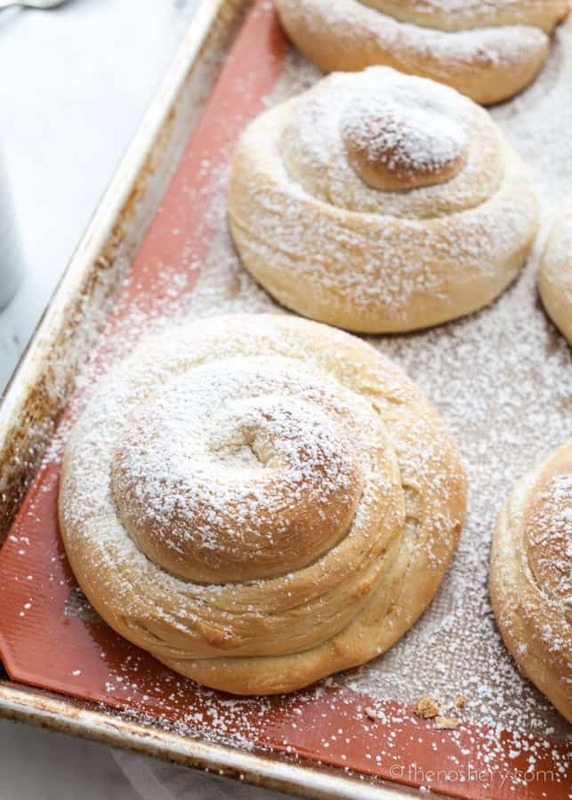 Allow buns to cool, sift generously with powdered sugar. Enjoy with coffee! If your dough fights you when rolling into coils give it a few minutes to rest before overworking the dough. Me and my friend were looking for a good Puerto Rican type pastry and are excited to try this one out. We are very great full. Thanks. These are great! I made them for a school project on Puerto Rico and everybody fell in love with them! Thanks again! My husband I honeymooned in Puerto Rico and stayed in Old San Juan. We went to La Bombanera every day for breakfast. I searched for a long time before finally finding this recipe and information. It even included La Bombanera. I’ve made these several times since and the recipe has never failed me. They are delicious and my family loves them. Thank you for sharing! Spot on! Bread came out sweet and light. We put a few cooked rolls in the freezer then re – heated them in microwave oven. Tasted as if they just came out of the oven. I was literally at la bombonera this morning(2nd time on our three day stay in San Juan). I can attest to how Mallorca can get in your head. That is why I am looking at a recipe for them immediately on my return to Ohio. I tried it with egg and ham and cheese as a sandwich. My wife’s butter and powdered sugar one was better..very much like French toast. Thanks for the recipe. Buenos Dias! Ever made into a loaf? Recommendations on number it makes and cook time? We love picking up a loaf in PR and making sandwiches. Can you say what to do with the refrigerated dough… spray it.? Can you shape them first? Just leave the dough in the bowl loosely covered in the refrigerator. I don’t usually shape them and refrigerate them because they will continue to proof and get really big. It’s not that you can’t do it but they may rise too much and grown into each other. I’m about make and eat this for the first time. Do I understand correctly, 2 sticks of melted butter is what you add to egg yolks and sugar. And the other stick is used later to butter the rolls? is it unsalted or salted butter? I was going to ask the same thing!! ? Que ricas son!!!!! Just made these with my best friend and they came out beautiful, perfect, and delicious!!!! It tasted just like the mallorcas we grew up with in PR!!!! Thank you for sharing the recipe!!!! I made them and they were truly delicious. I sifted the flour prior to use. I used active dry yeast and let it sit getting activated with a bit of sugar in the mixture of lukewarm water and milk for 5 min instead of one. The bread comes out with a soft consistency and not dense at all. I left some of the mallorcas rising overnight in the fridge. Took Them out next morning and let them sit on the counter for about 30-40 min. They baked beautifully as well. The next time I do them, I’ll add a bit more sugar and a hint of vanilla. Definetly a great recipe and not too hard to make at all. This recipe was excellent, my family enjoyed this amazing bread! Thanks so much for posting this recipe. I followed the recipe to the letter, and it turned out perfect. My wife is born and raised in Puerto Rico and she said they were perfect! It was so nice to be able to give her a taste of home. Thanks for that. Any plans to post a recipe for Pan Sobao? That is another taste of home that is missed. Original mallorcas are made with pork lard. Has anyone tried to substitute the pork lard for the butter? This recipe is prepared with butter. I love mallorcas and this recipe is going to be in my prefer list. I would let you know how they came out. Thanks for the recipe. These are soooo good! I just made them and they are truly taking me back home. Just wanted to say that I did this recipe over the weekend to the letter and the Mallorca bread is delicious. I made it again last night and added one cup of sugar and I’m in love.. my family as well. La receta es muy excelente! Gracias en compartirla! Are you serious? You have no idea how happy your comment has made me. I wanted to take my husband there but heard it was closed. I, like you get fixated on something to distraction. In fact, that is how I found your sit while trying to locate a recipe for a breakfast sweetbread similar to one Starbucks used to sell. Well, needless to say, I will miss that Starbucks version no longer. Your tweaked recipe was perfect and my family and I were fighting over the last one. Shhhhh, between you and me, I still have one hidden in the freezer in case I need a fix before making another batch! Devine! Hola! excelente receta, la traté y el sabor es muy bueno, lo único que me ocurrió fue que los rollos se abrieron, como si no se hubiesen pegado. Gracias por compartir. Bombonera is back! They did not close permanently, just for restoration. Unfortunately, the restoration took 3-4 years. We had brunch there this morning (Mallorca with jamon, queso and huevo), and it is better than ever. Now our annual visits to Viejo San Juan will be complete once again. We were in Old San Juan this past summer and at Mallorca at La Bombonera. There were amazing. I’ve now bought a bed and breakfast and would love add this to my breakfast rotation. I’m going to try it soon! Thank you for sharing. I have made similar ones in the past. Most likely the secret ingredient at the bakeries is lard….I do not think they use butter. The bad part about making mallorcas is that a whole bunch come out of the oven and I end up eating them all! I know they use lard – you can see part of the mallorca recipe on the wall in the bombonera. Has anyone tried to make it with lard? Excellent re-do and results. Just one thing I would like to know. The PR Mallorca tends to be a bit more yellowish and darker on top. How could this be improved? I wanted to thank you very much for sharing Puerto Rican recipes. I stumbled across your blog when I was looking for a Puerto Rican flan recipe. My husband mentioned that the Puerto Rican flan was the best and his favorite dessert as a kid. We now live in california and this is the dessert that he misses back in new york and so here I was hunting for a recipe when I stumbled upon your blog 🙂 I was so happy when you have a Puerto Rican section and I have been saving a lot of your shared recipes. I have tried out the flan and it was delicious! We have flan in the Philippines but usually it is served in small quantity usually to top a dessert called halo halo similar to piragua de crema because of its rich nature. 1 spoonful is already too much but the flan that you shared my husband, my daughters, and I devoured it!!!!! 🙂 we finished it within 24 hours hehe. Also my husband and daughters are enjoying the piragua de crema it’s perfect for this hot weather! Now for this recipe, I am so delighted I finally found the dough I had been trying to find! Its been about five years that I’ve been looking for ensaymada recipe. I have searched YouTube and all over the web and the outcome has been very disappointing. Most recipes are also time consuming meaning there’s a lot of active time like making you mix 2 different types of dough then having to knead it every 2 hours and shaping and proofing and baking. It’s a whole day event!! When I made this yesterday not only the active time of mixing the dough was short but the the outcome is exactly how I remember ensaimada to be. I also learned that ensaimada is from mallorca , Spain no wonder it taste so familiar. This is the first time I heard of mallorca. I didn’t know they were the same.there’s only one left so I have to make another batch soon. 🙂 once again thank you! My next project is arroz con pollo and sancocho. Savory cooking has not been my forte but with your guidance I know the outcome will be excellent. Thanks Meseidy! I love Mallorcas! I am in the process of making these right now. However, I’m a bit nervous because I kneed the dough in my mixer only to read afterwards your suggestion of mixing by hand with wooden spoon. Do you think this will make a difference in the final outcome? Oh I sure hope it doesn’t! The mallorcas recipe is awsome . How many calories are these little beautys? I don’t know the caloric value, however, on weight watcher’s by entering the ingredients in the app each one, provided they are the same size, is 17 points. Well worth it! I just Googled “mallorca recipe” and found your blog. I’m so excited to start following you and look through the archives! Hi Meseidy: Yes, mallorcas are my favorite sweet bread. You still can have at the Mallorquina in Old San Juan, not far from La Bombonera. I have written to you before re: my cookbooks – Sabrosuras Boricuas, Homestyle Puerto Rican Cooking, De la Tierra con Sabor, and my newest, Eris’ Green Kitchen, Vegetarian Home Cooking with a Latin Flavor. This last one came out of the printer at the end of October. Homestyle Puerto Rican Cooking has been the best seller with 5,000 copies sold. It has been recognized by the Gourmand World Cookbook Awards (the second edition). You can write to me at my e-mail. Gracias. They came out perfect. I was born in New York to Puerto Rican parents. My husband on the other hand was born in Puerto Rico. He remembers them from when he was a little boy. He used to get them before school every day. well thats ruined my plans for coming back to San Juan. It wasn’t just the bread it was those little sausages. My parents are from Puerto Rico; I was born in the suburbs of Chicago. Several years ago, I made several business trips to San Juan and quickly became addicted to the pan de Mallorca that the Marriott in the Condado sells. I went back a couple of years ago and they still had them (made by the same woman who supplies them to the hotel). I’ve never had the ones from La Bombonera but I’ve have had many others. The ones at the Marriott were my favorite and I have to tell you that I love these even more. I’ve shared the recipe with my family and two of my sisters are making them this weekend. Sincere thanks! Thank you for sharing this recipe. I am doing it for fist time right know, however, the dough hasn’t raised for within the last 2 hours or so. I followed the instructions on how to activate the yeast and measured the water to 105°F so not sure what happened or what went wrong. If the dough doesn’t raise properly, would it have an impact in the resulting mallrorca? Would the mallorca be soft enough? Unfortunatly yes, if the dough does not rise you will end up with a denser bread. Dough not rising could be caused by many reasons. Your yeast could be inactive, high altitudes and ambient weather. Especially this time of year with cooler tempuratures. I like to keep it somewhere warm to rise. Usually near an oven set to low. They turned out delicious! I will use a bit less flour next time and tighten the coil. I have a question: can you freeze these for later? Thank you! These freeze beautifully, and thaw quickly at room temperature. You also can microwave on the defrost setting for about 30 seconds. I have been waiting to try your recipe for quite a while, and the dough now is rising. But, it was not tacky by the time i added all the flour. I actually used about 6 cups, not 6 1/2. We will see what happens! Looking forward to breakfast tomorrow 🙂 Thank you! Te felicito con la nueva y mejorada receta! Pues ahora si te quedaron IGUALITAS a las de la Bombonera. Llevo 24 anos en los Estados Unidos y como las extranaba! My significant other is native born and raised Puerto Rican and I have spent the last two years (come next week) being utterly spoiled by all his cooking of Puerto Rican meals at every meal. (I do not have to cook a thing if I choose not to – so very happily spoiled). But I love to bake as my life recently allowed me time to pursue this love from 20+ years ago, before the children were born. Reinaldo does not bake … except for his deadly chocolate cake and his intoxicating rum cake … which friends, family and his college students trip over themselves to get a bite of. So, months ago, upon hearing about these traditional mallorcas, I have set out trying to find a recipe that will satisfy him and his love of things ‘home’. Today I will double check my ingrediants and tomorrow I will do my best to make something half as good as his mom. Thank you again so much for your time and efforts in bringing us this great recipe. Just returned from P.R. and had delicious mallorca s at Mallorca Cafeteria on calle San Francisco in Old San Juan. They were great. Someone told us La Bombonera will be reopening soon.making your recipe tonite. Let you know how they come out.MY KIDS CAN’T WAIT! Thanks for recipe. So recently I was craving mallorcas, and since God knows when I’ll be back in P.R., I figured I’d find a recipe. Yours came up first in Google, and I as I read, I got excited to try it right away. And then I got to the part about La Bombonera closing, and I was devastated. I remember going there once a week with my family after Mass, picking up mallorcas and pastelillos, and eating them in the park. I was looking forward to taking my own kids there someday. A little more googling and I discovered that La Mallorquina closed, too, depressing me more. I’m sad over the loss of those two institutions, but I’m still excited to try your recipe. Hi, and thanks for posting this recipe. I grew up on mallorcas & the closest thing I get to it her in Jersey is from Starbucks. I love Starbucks but it’s not even close to the real thing. I will be making these later this afternoon because I haven’t tasted one in 6 years. The last time I was back on the island. 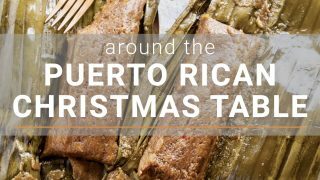 I love to see traditional and non-traditional Puertorican recipes find their way into blogs and into the kitchens of homes everywhere. We have terrific cuisine that is often dwarfed by Mexican & Cuban cuisines. I hope it’s okay, but there is a website I found years ago for very traditional island food that you and your readers ay like to check out… elboricua.com has recipes for sofrito, pernil, pina coladas, and even sweet coconut rice aka arroz con dulce (my favorite). I have absolutely no affiliation with this site but your recipe has gotten me excited to cook. I’m off to turn on some salsa music & get to cooking!!! Terrific post, thanks! Let me start off by saying I never leave post. Just don’t. :). But I had to for this one. I am Hispanic, born and raised in USA as my parent were. I love the concha bread the Hispanic bakeries make, but would never make them due to the whole process it takes! They also don’t sell them in the immediate area I live in. So when I saw this on Pinterest, I thought this looks close enough and easy. Well, these are even better than conchas! And, super easy to make, especially with your pics and step by step instructions. If I could, I would eat them all day; breakfast, lunch and dinner. Better than conchas? AAAH I need to be able to bake again even MORE now. Hi! Ive been searching the internet to see if i could find a mallorca recipe that is soft,sweet and perfect to eat with a glass of milk! Im gonna try this recipe soon and see if it taste like the ones from Pepin or something better! I just found your blog and I am so happy now that I can have recipes from my Island Puerto Rico. I am going to try the Mayorca so my husband can try it too, he is Cuban and never heard about the Mayorcas before he just saw your picture and wanted to try it. Thank you so much! Love the revamp, thank you!. I have made your original recipe many times since you originally shared it. It is wonderful and worth every detail that is put into it. These are delicious. Mine were a little dry and dense……..I may have added too much flour. Or maybe yeast did not raise enough? Thanks for the recipe. I have to admit I was trying to imitate Starbucks Mallorca Sweet Bread, which they have discontinued! These were quite tasty. They reminded me a lot of brioche or challah. Yum. I skipped the step of rolling them out and just formed balls and they were still really, really good. Thank you for this new post!! Wanted to ask if you can substitute cows milk for something else? Want to try it!! Meseidy, you will not believe this. I was born in PR (Guayama) and lived there till I was 14 (I am now 51) and then we moved to NY. So basically I have lived in NY ever since (of course I visit the Island alot) I thought that I was a true Puerto Rican when it came to food but girl I have never, ever tasted Mallorca bread. Can you believe that! I planned on visiting PR now in January 2014 and girl the first thing I’m gonna do is look for a bakery and try me some Mallorca bread. Thanks you for sharing the recipe. Another thing that I never had was gofio. I heard from my aunt who lives in San Juan that La Bombonera in Old San Juan has reopened!! If you want to taste a truly delicious piece of heaven, have your first Mallorca with cafe con leche there & enjoy! You’ll want to lick the plate. I tried your old recipe a few times. Delish, but the dough was quite wet and difficult to shape. Will try new recipe which seems to address that with 3 hrs in fridge. Now I’ll likely have a different problem. Moved from Milwaukee to MexCity, a much higher altitude where I understand recipes need to be adjusted in order for yeast to rise. Do I need to use extra yeast? Looking forward to trying the new version of yummy mallorcas! I have never had to cook at high altitudes but the blog Mountain Mama Cooks is a great place for high altitude cooking and baking. Here is what she says about raising bread. Yeast doughs rise quicker at higher altitudes, so the proof time will be significantly less. I like to punch the dough down and let it rise a second time. It’s great for developing a stronger yeast flavor and will ensure the dough doesn’t over rise! Oh, are you KIDDING me with these?!?!? Why couldn’t you have moved to Houston instead of Dallas? I’d be sitting outside your house waiting for you to throw me bread just like in the Hunger Games. I wouldn’t through burn bread to you, I would have you over for coffee and fresh rolls. Thank you so very much for this recipe! I am a Puerto Rican living in the Netherlands and here we don’t have a bread that compares to mallorcas. I will make this for sure for our next Puerto Ricans in Holland club meeting and we will have a lot of happy faces in the crowd. Keep the fabulous recipes coming! I just made this formula with unbleached ap flour and it came out beautifully. I did not mix by wooden spoon, my stand mixer with dough attachment did that and I used 2c whole milk warmed to 120 degrees and additional 2tsp sugar to feed yeast. These came out beautifully. Thank you for the post and for sharing your culinary journey. i love this oh so oh so oh so much. i wish i had time for the whole baking yeast rising thing but dang those timing limitations. i say to heck with it. i’m making these. everytime I have baked them …I just feel like I was in heaven. They are sooo good! Even better than the ones you find in the bakeries in Puerto Rico. They are very soft. Tip: use a good quality butter. Can I use this bread to make Medianoche bread? I absolutely love the Medianoche sandwich one can get in Puerto Rico and I have not been able to find decent medianoche bread anywhere. When I order from Puerto Rico, by the time it gets to Wisconsin USA it is old…. thank you!!! The taste and texture of mallorca bread is very close to media noche bread. I think that these would be a great option for making media noche, just form into loaves instead of rolls. Also the color of media noche comes from adding a bit of yellow food coloring. Feel free to add a few drops if you want the pop of color. Yeah!!! I will let you know how I did!! Thank you so much for your reply. I am now off to get some yeast and some pernil to get in the oven in the Valdelluly style. YUMM!!! I was most surprised to see this recipe. I live in Mallorca, and am most fortunate to have access to the real ensaimadas. Your recipe looks wonderful and if I ever cannot get the real thing I will know how to make my own. Good luck in your new house and new location. Sorry for the typos…. My fingers are too fat for my phone! LOL, no worries, I understood what you were saying. I love your step-by-step directions! La Bombonera is going to re-open in July 2013 … and newly renovated (same location). I hope they don’t change their menu! Good news! !